The hardest part of this E3 was not being able to get my hands on all the new technology. Without a framework in mind for how these new peripherals play I have no way to know if any of the Kinect or Move games are worth paying attention too. I can hope that flailing in front of a camera will make for good games but I won't know until I actually give the games a try. At least in the past if I saw a preview of gameplay I could contextualize it in my head. I could make a decent guess about the way the game would play on a standard controller. Now that's been thrown out the window. It isn't just the motion sensing technology either. The same thing goes for 3D. Everyone seemed to be showing off 3D but I've been watching the videos and news on a 2D monitor. Not only am I not seeing their previews in 3D, but I can guarantee I won't spend the thousands of dollars necessary to set up 3D in my household. 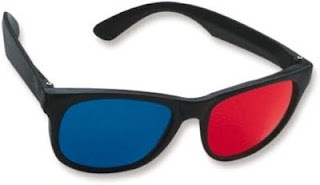 It isn't worth the cost, especially with the stupid 3D glasses. I might spring for a new Nintendo 3DS because it does 3D without the glasses, but I can't judge it's 3D effectiveness until I actually have the system in front of me. So, I'm walking away from this E3 cautiously optimistic. I really hope that the new technologies being introduced will help enhance our gameplay experience and not just end up being worthless gimmicks. I hope for the best, but until I get some hands-on time with the new tech I'm going to take everything with a grain of salt.